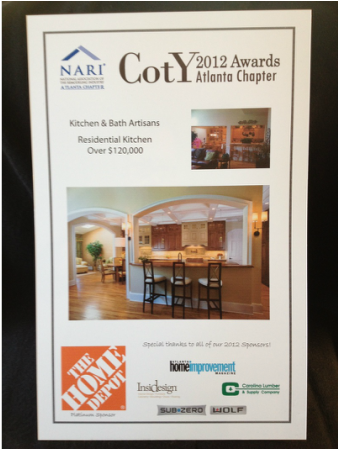 We were honored this December by the NARI Georgia Chapter at the CotY Awards Gala with the top award First Place for Residential Kitchen Over $120,000.o0. It's wonderful when we can be acknowledged by our peers in the industry. 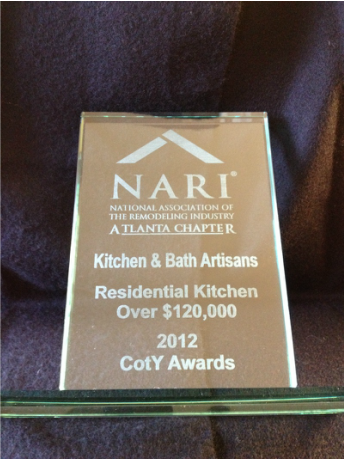 We value the professionals within the NARI Georgia Chapter working together to bring honesty and integrity to the remodeling industry. 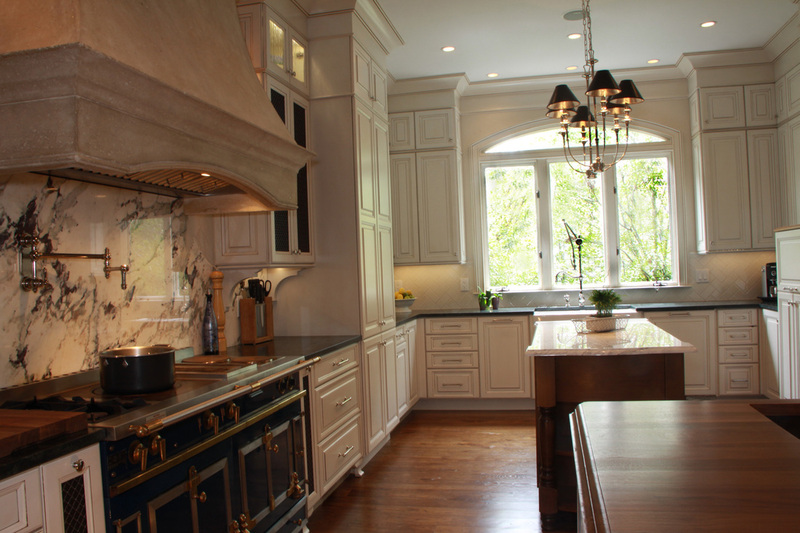 We are so excited to introduce Tracy Glover to the Atlanta market. Tracy is a true artisan with all of her products being hand made here in the United States. 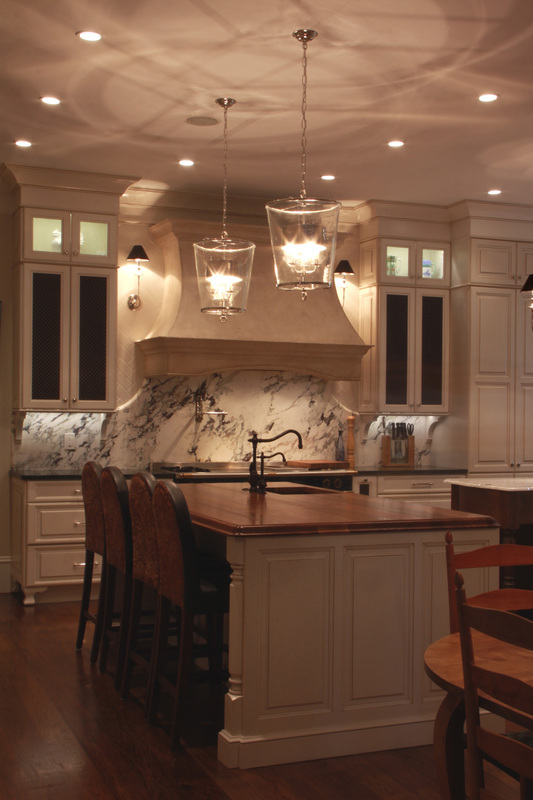 Tracy's glass lighting fixtures to cabinet hardware will be a lovely compliment to your home. 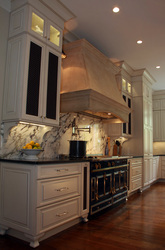 Please visit her website and let us know if we can quote an object for you. 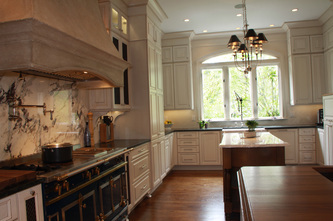 www.tracygloverstudio.com. 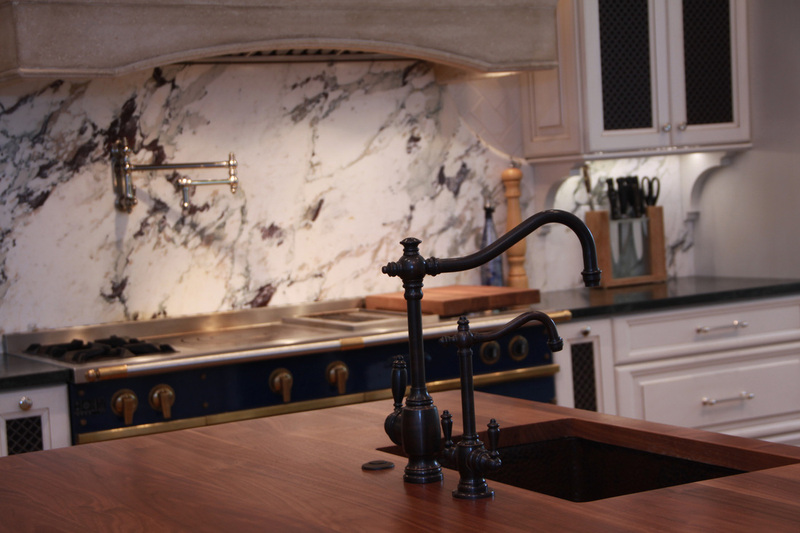 An eclectic mix of marble and soapstone along with woods such as cherry and walnut make this kitchen renovation a reflection of the family's active lifestyle. 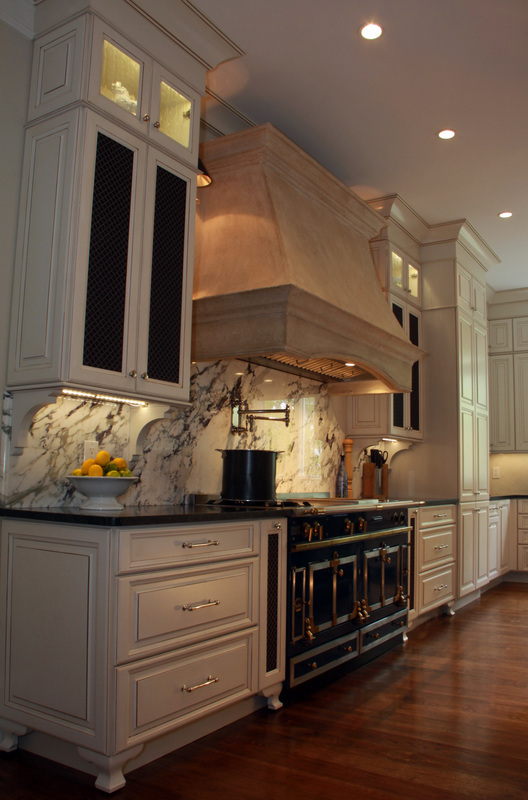 This french-inspired project called for the creative use of traditional materials to compliment and enhance the focal point, a custom hand-crafted La Cornue range. 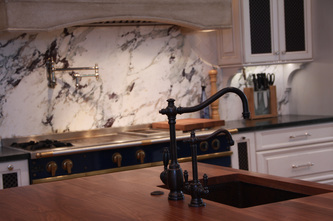 To see a more detailed view of the soapstone counter tops, marble backsplash and walnut island, click on any image below.